The reduction was due to the decline in inflation projection by the Broad Consumer Price Index (IPCA) for 2017. RIO DE JANEIRO, BRAZIL – The Brazilian government reduced the forecast for minimum wage in the coming year after reviewing the economic projections for 2018. The amount of R$979 per month (US$309) contained in the Law of Budgetary Guidelines (LDO) will decrease to R$969 per month (US$306) during the preparation of the new budget. Brazil reduced the minimum wage forecast for 2018 to R$979 per month, photo by Rafael Neddermeyer/Fotos Publicas. The reduction was due to the decline in inflation projection by the Broad Consumer Price Index (IPCA) for 2017. By the end of July, the government had revised the official inflation estimate from 4.3 percent to 3.7 percent. By law, through 2019, the minimum wage will be defined based on the growth of the economy of the last two years, before adding inflation by the National Consumer Price Index (INPC), as indicated by the IPCA of the previous year. As the GDP declined by 3.6 percent in 2016, the negative change will not be reflected in the 2018 minimum wage. According to the Minister of Planning, Dyogo Oliveira, the value of the minimum wage may change still until the beginning of next year. According to him, the Budget works only with estimates. “The minimum wage will only be known in January. Until then, things can change,” he said. 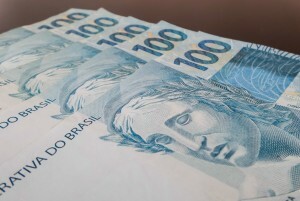 Last year Brazil’s federal government increased the minimum wage to R$937.00 per month (US$287.89), which corresponds to R$4.26 per hour or R$31.23 per day. In 2016 the monthly minimum wage was of R$880.00 (US$270.38). The minimum wage does not reflect the thirteenth month salary pay, or the thirty days paid leave, numerous national and state holidays, or food and travel compensation. Brazil is really a comedy!